Ron and Hermione. 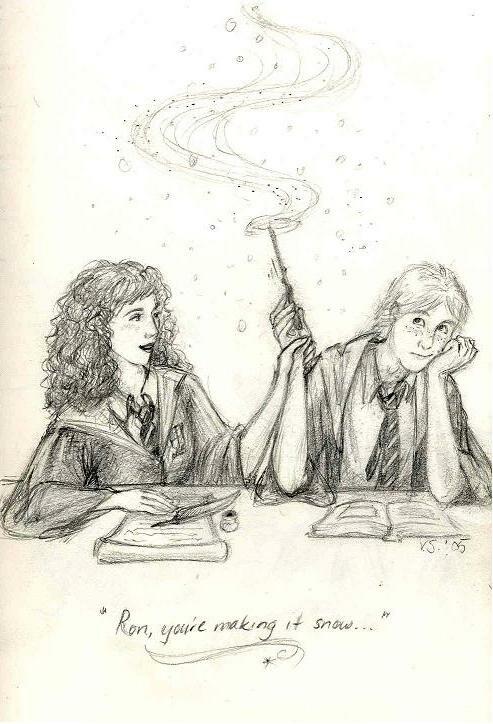 Some of these are canon illustrations, others are illustrations of fanfiction, but all are romione so I'm happy!. HD Wallpaper and background images in the romione club tagged: ron harry potter hermione fan art romione images. I always loved this part of HBP, she holds his hand!!! <3 and then Lavender gets all jealous! Serves her right, I never liked her much.